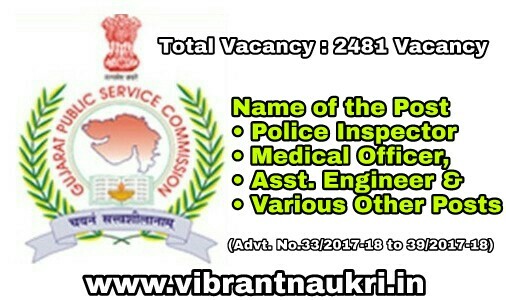 Ojas Jobs | GPSC Recruitment 2017 | Police Inspector (Unarmed), Medical Officer, Asst. Engineer & Various Other Posts : Gujarat Public Service Commission (GPSC) has published Recruitment notifications for below mentioned Posts 2017. More information please read below mention details carefully.